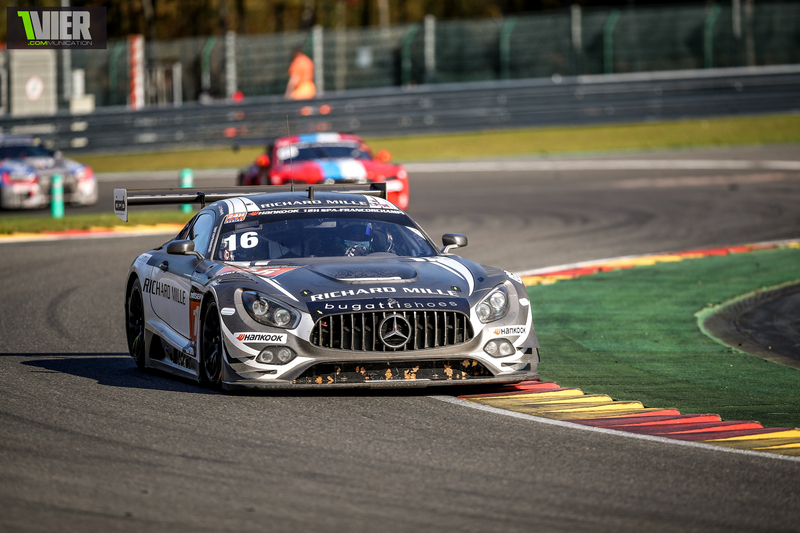 Win for the SPS in Spa-Francorchamps! The team SPS automotive performance gained another win in the very successfully motorsport season 2018: P1 in the A6-AM class in the 12H race at Spa-Francorchamps! Only one week after the debut at the Nürburgring on the VLN, the team from Willsbach participated in the 12H race of the Hankook 24H Series in Belgium. It quickly showed up that SPS prepared the Mercedes-AMG GT3 again perfectly, because they reached P1 in the free practice. The three drivers for this long distance race consisted of the experienced drivers Valentin Pierburg, Tim Müller und Lance-David Arnold. Again, they showed an outstanding performance in the Qualifying and ensured the pole position overall! The SPS Mercedes-AMG GT3 was the fastest car in the entire field! All in all they’ve acquired a perfect starting position for the race. The race started on time at 9.50 am and the SPS Mercedes-AMG GT3 with the starting number #16 showed a good pace at the beginning. After the half time of the race they were at the top of the A6-AM-class and achieved the second position overall. The car worked perfectly but there were still 6 hours left. But the drivers did a great job over the whole race and after 12 hours the gained the class win! In the overall rating they reached P2, only one car of the PRO-class was slightly better.